Having struggled as a teen and spent a few years in the prison, Lil Baby decided to take a U-turn and focus on having a better life. He ventured into music and has succeeded in making his music career a success with the extraordinary efforts he is making. He is a rapper whose songs have at one time or the other gotten spots on the US Billboard Chart to attest to how good he is. Read on to find out more about this youngster whose story is often described as a rise from grass to grace. 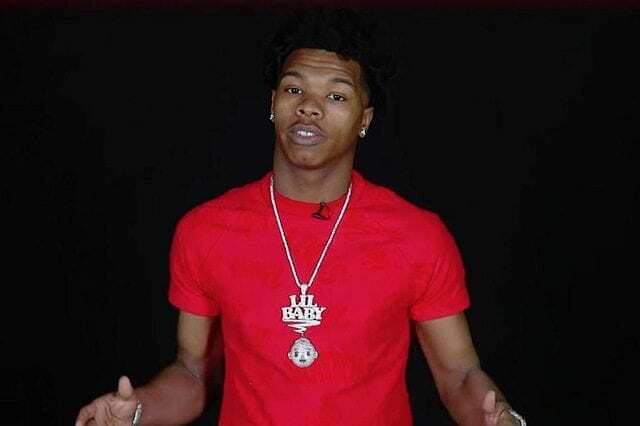 At birth, the skilled rapper was named Dominique Jones, he, however, adopted the name Lil Baby after he took up rapping as a career choice. The rapper was born on the 3rd of December 1994 in Atlanta Georgia where his life while growing up was quite a tough one being that his father left his home when he was just two. As a result, he was single-handedly raised by his mom. Lil Baby is of African-American descent. As a child who suffered from a lack of fatherly love, Jones took to various illicit activities and was often referred to as a heady child. By the time he was in tenth grade, he had committed a lot of ill deeds which led to his dropping out from high school. Lil Baby didn’t take a chill pill after he dropped out of school, he took to the streets and was a regular in the county police. In the year 2012, he was arrested charged for an intent to sell drugs. For this reason, he secured the services of a lawyer who advised he should take a 2-year plea, however, Lil Baby refused and got a new lawyer. With the new lawyer, he was placed on a special disc..program. While he was still being disciplined, Dominique had an altercation with a white prisoner which led to the cancellation of his initial 2 -year plea. Things got worst for him just the following year after the incident, he was found with marijuana and for which he got arrested. Subsequently, the would-be star was incarcerated for 2 years and it was at this time that his rapping career began with 4PF (Four Pockets Full) and Quality Control Music. Lil Baby’s musical career began in the year 2017 after he released his debut mixtape; Perfect Timing in April 2017 under Caroline Records. The success of the album was a joint work involving the collaborations of most of his childhood friends. Later on, Lil Baby revealed that the mixtape took only two days to be recorded and it was at that point he realized that he truly sincerely had a flair for music. The lyrics of most of the songs involved his experiences in the prison with tracks like Days Off, 100 Round and Rider. He worked with celebrated artists like Young Thug, Lil Yatchy, Young Scooter and Gunna on the project. After the success of his first mixtape, he went ahead to release his second mixtape, Harder Than Hard in July 2017. The track My Dawg became one of the number one music hit that period with the official video having over 16.9 million views on YouTube. Other tracks in the album include Narcs, My Drip, Minute and Stendo featuring 4PF DT. He also collaborated with Young Thug on the track, Pink Slip. Sometime in October 2017, Lil Baby collaborated with Marlo and released the mixtape, 2 The Hard Way. The mixtape included songs like Big Tymers and featuring PnB rock in the second track, Whatchu Gon Do. He later released two other singles; Counted Up In the Dark (2017) and Too Hard (2017). In those tracks, he worked with artist like Moneybagg Yo, 21 Savage, Quavo and Gucci Mane. Come May 2018, he released his first studio album, Harder Than Ever by 4PF, Wolfpack, Quality Control, Motown and Capitol Records. That album was a success and peaked at the number three spot on the Billboard 200 chart. Lil Baby would be considered as an early bird in the music industry. He has never had a reason to struggle in the industry as since the beginning of his career it has been from one greater height to another. There have been a lot of variations in numbers regarding his financial value, some sources say that he is worth hundreds of thousands while a few say that he owns millions of dollars. Whatever be the case, it is no doubt that his career sure pays his bills. 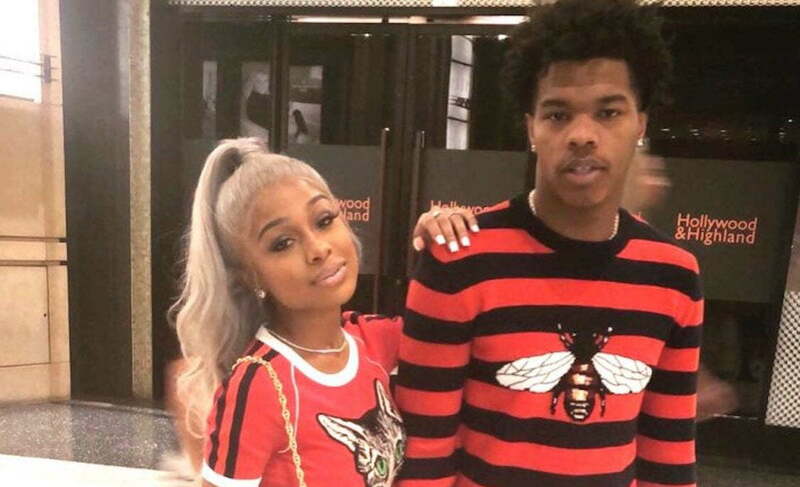 Lil Baby has been in a relationship with a lady named Amour Jayda. Sources say that the two have been together for quite a long time. They later got engaged on the 25th of December 2018 and are expecting their first child. Apart from his child with Amour, Lil is rumored to have a baby boy named Jason with another woman.